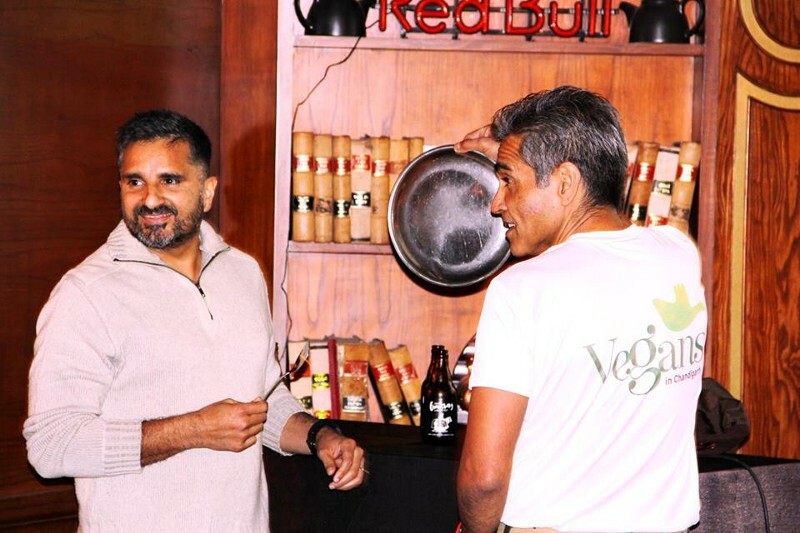 Veganuary India 2019—the nationwide celebration of veganism—was officially launched on 5th January 2019 at The Back Room, Sector 34 Chandigarh with Earthr.org’s event Le Veganning—a zero-waste, guilt-free, sustainable and healthy beginning. Veganism, as defined by The Vegan Society, is a way of living which seeks to exclude, as far as is possible and practicable, all forms of exploitation of, and cruelty to, animals for food, clothing or any other purpose. 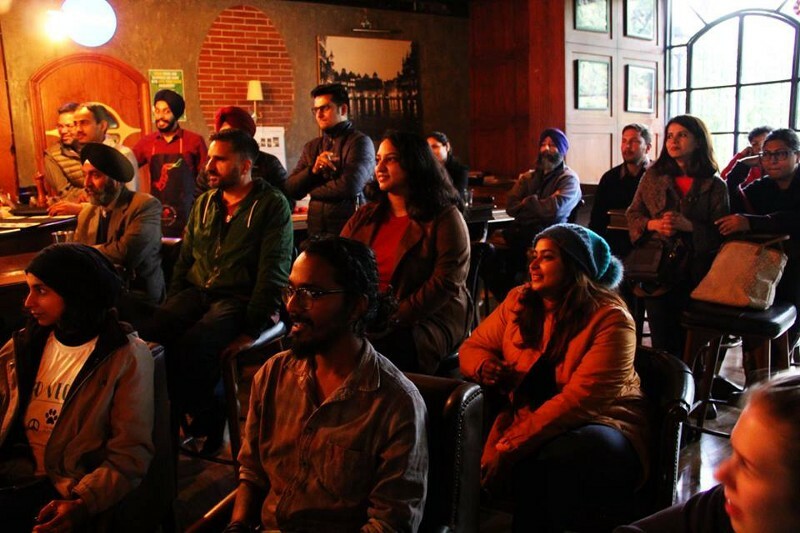 Chandigarh has a relatively small vegan ecosystem and that’s why the Official Veganuary India Launch was a fairly important event. Around 50 people gathered for an interesting conversation over snacks and music. 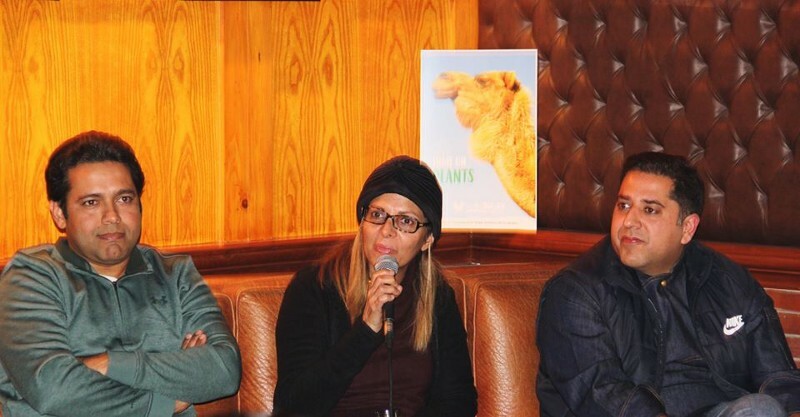 The event was designed to be a dialogue between the panellists and the audience which comprised of vegans, aspiring vegans, and non-vegans. In the panel were Dr. Ritu Chhatwal, founder & CEO of Beyond Passé, Ashish Manchanda, CEO & Hospitality Consultant at Advisure Hospitality Consultants and Kunal Nandwani, founder & CEO at Earthr.org. 2018 was the year when veganism went mainstream globally, and India saw a lot of entrepreneurs launching vegan products and businesses spring up. Dr. Ritu emphasised on how domestic brands will have to constantly reinvent themselves in order to match the quality standards of international brands. Kunal, who is also the founding director of Chandigarh Angels Network and has seen a variety of startup pitch decks, discussed how Earthr.org is helping entrepreneurs working towards sustainability achieve scale and create a mass impact when connected with the right advisors, teams and investors. Ashish is a hospitality veteran and has consulted with several international restaurants to design their menus. He indicated how customers are making informed decisions about healthy diets and how the demand for vegan meals is constantly growing. More doctors are now suggesting patients with cholesterol and heart disease to stay off dairy and meat products and switch to plant-based foods. People complain that veganism is expensive but they also spend lavishly on caviar. Dairy and meat alternatives were served to all participants. On the menu were GoodDot Achari Tikka, served with mint chutney, Violife India’s vegan Cheese as Halloumi and in Cheese Paranthas, Vintage Teas Petalberry (Green Tea) and Lovebuzz (Black Tea) flavours and Gunsberg Gingerale. Veganuary is a UK-registered charity inspiring people to try vegan food for January and throughout the rest of the year. Over 250,000 people have taken Veganuary’s dietary pledge in 193 countries since 2014, and it is expected that 300,000 more people would take the pledge by the end of January. Over 100,000 people have already pledged to try vegan for a month for January 2019! Veganuary has partnered with Earthr.org, an India-based nonprofit to launch Veganuary India 2019 in order to inspire and support the people of India with practical information to try and celebrate vegan food in January and beyond. The focus of the campaign is to bring attention to the positive effects of veganism on people’s health, the environment and animals. Not a lot of sustainability organisations acknowledge animal farming as the leading source of global warming, water shortage, deforestation, habitat loss, species extinction and ocean dead zones, but Earthr.org’s partnership with Veganuary and vegan movements makes a bold statement about this. Le Veganning was organised by Earthr.org. Like all Veganuary events that would be happening across India in January, it was a celebration of veganism. 15 Indian Cities have geared up to reach 50,000 people with an aim to get 5,000 Veganuary pledges. 45+ events have been planned, which vary from food tasting to game days to speed dating to road trips. People who take the pledge at veganuary.com/in get emails with recipes, tips, blog posts from our ambassadors like Monica Dogra, Anushka Manchanda, Sadaa Sayed, Rohan Hingorani and others, and access to exclusive discounts/promotions from brands across the country. Earthr.org has also compiled a dedicated website at earthr.org/veganuary for quick access to events, offers and other resources.